You guys really copped it. Country Mum your sunrise and sunset photos are a;ways so gorgeous. I love the sky in your photograph. It is a well worn tree. The sky you captured is amazing. Sorry for the damage, but grateful for your incredible picture! It is a beautiful sky behind that broken tree. But it makes for a beautiful photo. Beautiful time of day. I wonder if this tree will recover as it seems to be the upper section damaged. 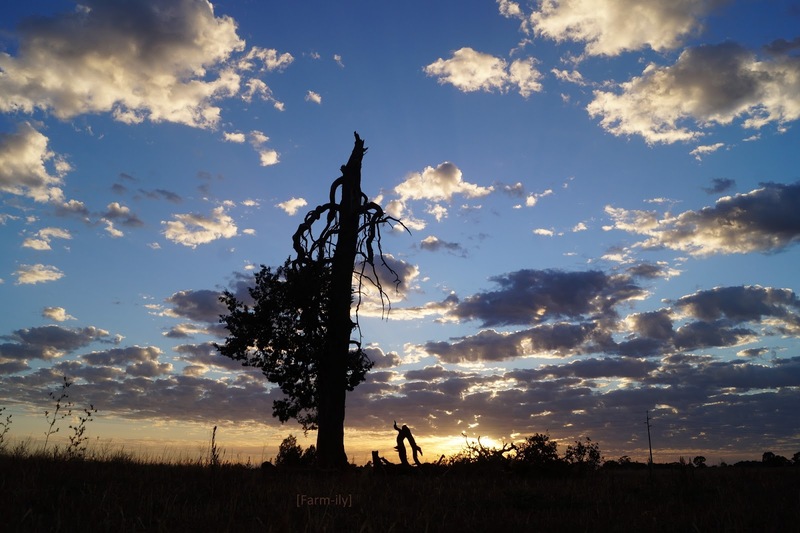 A central Qld blogger also had a dreadful storm with the gums just torn apart.